What does authentic congregational worship in song look like? We see in the scriptures that in Biblical times it was most often people joining together to worship God and encourage each other with songs, hymns and spiritual songs. We are meant to focus our hearts on God and to be an encouragement to those who join together. What if we did just what the above brief paragraph says? What would worship in song look like in today's "modern" church? Over the last several years I’ve observed a lot of different trends happening in worship at churches and I’m sure you have as well - Some are good and some are bad. Some are authentic and some are not. Some are genuine and some are gimmicks. I've been a part of church and around enough churches to see a whole range of things!...and I draw some of these from my own experiences in leading worship in Small Groups, Sunday School Classes, Retreats, Men's ministry as well as Sunday morning corporate worship. Some are meant to be funny although they resemble reality while others are meant to be a bit sobering. I also want you to encourage you to join the conversation by adding to this list by leaving a comment here. See worship as an opportunity to help focus and prepare the congregations hearts to receive the Word of God. Be sensitive to the leading of the Holy Spirit! Sing the melody when you lead (only do harmony on occasion) because the congregation needs to hear their part and follow you! 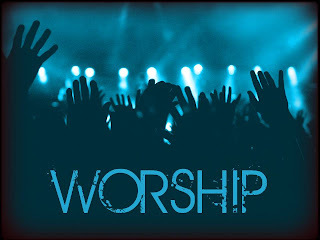 Remember that you're also a worshiper! Strive to be an effective leader. Allow the congregation to respond to the Lord in prayer, etc. and build that into the "worship set" from time to time. Make sure you're not running the sound system too hot (loud). Sing the harmony if you’re leading – the congregation needs to focus on singing praises not trying to find their part! Forget to teach new songs –actually try to teach it /run through it with the congregations. Just because you know it and your team knows it doesn’t mean they do! Randomly yell /shout - it's OK to be excited but there should be a purpose, order, reason for everything we do! Although emotions are part of a natural response to worshiping the Lord, don’t make worship out to be some emotional thing or an emotional device. There's a HUGE difference between being Spirit-Led and and emotion-led. Stop having a choir just because you think "modern churches" don't have them anymore. There still may be room for choir as part of the "modern" worship. Confuse being spirit-led and your emotions. Grow to discern the difference. Hey, Randy, Happy New Year! I don’t always say it, but thank-you for your faithful, continual ministry to us at Nike - your mailers are a consistent, spirit led encouragement for all believers here at Nike. Thank-you , in particular, for today’s Blog you forwarded on Worship. As you know, this is one of my favorite subjects, as I try & read all that I come across on this topic. These are fantastic bullet points on worship - an often volatile, personal or perhaps a topic viewed too subjectively when focused on. The debate frequently lands somewhere around musical styles. Personally, I like the points “encourage” “be humble” & “remember that you are also a worshiper.” In addition, I would also add something in the form of personal prayerful preparation in ministry, which includes everything from waiting on the Lord, to offering your body as a living sacrifice, which is your ‘reasonable service’ or ‘spiritual worship,’ - Romans 12: 2. I must also admit that I found several of the ‘DON’T’ category challenging, if not particularly or personally convicting. Lord, help us to glorify You, - as worship is really all about You, - An Audience of One. Bless you, Brother.. Thank-you, as always, Randy, for the inspiration / reflection.